WELCOME TO PEAK SURVEYS INC. 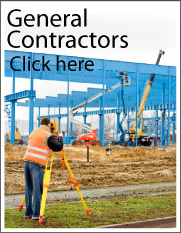 Peak Surveys, Inc. is a full service engineering and surveying company, in business since 1976. We offer an array of services from lot surveys for remodels to large lot subdivisions. Peak prides itself on being responsive to the needs of our clients and our community. We are serious about our profession and are concerned about quality. We strive to keep the delicate balance and friendly atmosphere between city, county or state officials and our clients. Each individual survey is as different as the individual needing it. We have met this diversity with offering our clients an uncommon balance of professional staff, technical excellence and superior client service. Our business depends on satisfied clients; therefore, we perform as if we are your employees.